CBRE announced a full-service provider to the entertainment industry leased an industrial building in Valencia for $7.7 million. Matt Dierckman, David Harding, Greg Geraci and Billy Walk represented the tenant, Vince Gervasi, owner of Triscenic Production Services, Inc., and their newly formed entity Triscenic Studios, a full-service company providing new stages, transportation, storage and labor to the entertainment industry, in the transaction. The landlord, LIPT ASP Valencia, Inc., was represented by Brad Koehler of JLL. Located at 25045 Avenue Tibbitts, the 142,392-square foot building features 28’-30’ minimum clearance, 26 truck high position doors and two ground level loading doors. The space fulfills the tenant’s needs of spacious storage area and high-quality sound stages. Triscenic Studios is a new entity comprised of entertainment company Triscenic Production Services, owned by Vince Gervasi, and real estate investor and operator John Prabhu (formerly of Kennedy Wilson), along with one other entertainment service veteran. The group formed the company and selected this property to provide entertainment storage space and high-quality sound stages in a market with high demand and limited supply. The Valencia industrial market continues to see strong demand, especially from entertainment- related tenants. 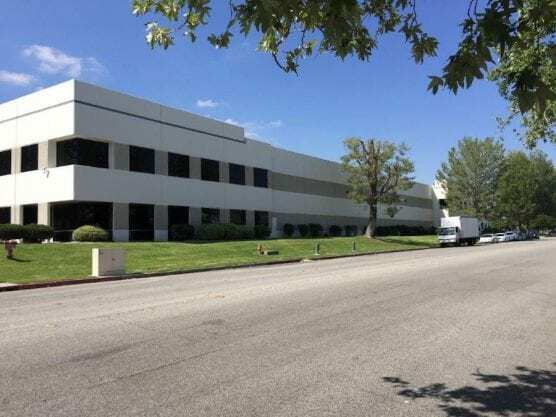 The property is within the 30 Mile Zone (TMZ) and is centrally located within the City of Santa Clarita for easy access to amenities and many other studio support businesses. Year-over-year, industrial lease rates in Greater Los Angeles increased by 5.1% due to limited availability, according to CBRE’s Q3 report. The alternative use of industrial facilities such as studios or entertainment-related users increased rents and sales values in certain pockets. CBRE EA projects that available space will flatten somewhat over the next two years, only increasing by 30 bps, mainly due to new product deliveries. So proud & happy for my brother Vince Gervasi !! !